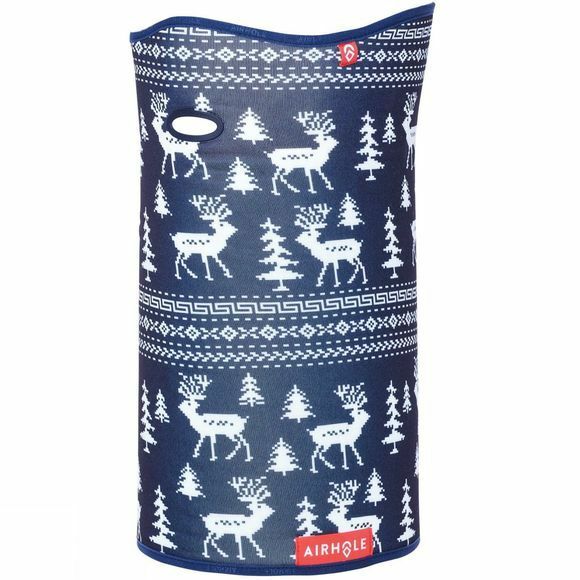 The Airtube Ergo Polar is one of Airhole's most popular fabrics thanks to it's Extra High Function performance fleece that protects against cold & heat. Featuring an ergonomic shape & single layer fabric it is incredibly comfortable to wear all day long as a neck gaiter or facemask but small enough to pack into your pocket. The signature direct injected Airhole provides a clear passage for breath, preventing moisture build up which causes a cold, wet face.